Super Smash Bros. Ultimate has arrived and everyone is here! Shacknews' Ultimate Character Profiles continue with the young psychic-powered hero of Earthbound. Today, we look at another alumni from Super Smash Bros. 64, as we return to Earthbound. Ness is just an average boy from the sleepy town of Onett. Well, he's average aside from the fact that he's got psychic powers. When a meteorite lands near his home, Ness is told that he'll save the world from the forces of Giygas, the unfathomable dark force that has invaded. Along with his psychic PSI abilities, Ness also brings along an array of weaponry. His best weapon is his trusty bat (not to be confused with the Home Run Bat), which he uses to smack fighters into the bleachers. Despite the absence of a new Earthbound/Mother game for the past 25 years (Yes, 2019 will mark the 25th anniversary of Earthbound), Ness remains one of Nintendo's most relatable and unlikely protagonists. He's the boy in all of us! Ness is one of the hardest characters to pick up and play in Super Smash Bros., just because his arsenal is so unorthodox. The key to winning with him is mastering his PSI abilities, but it's more than just using them for offense. Ness' PSI moves are vital for both defense and recovery, as we'll get into. PK Flash (Neutral B): Ness fires a plasma blast, which the player manually moves into position before setting it off. This neutral special is among the most powerful in the game, able to KO at low percentages. As one might imagine, it's very tough to land, especially since Ness is inert while aiming his blast. However, Ultimate makes things a little easier, because the blast will no longer dissipate when contacting hard surfaces. PK Thunder (Up B): Ness fires off lightning, which the player manually moves towards the opponent. 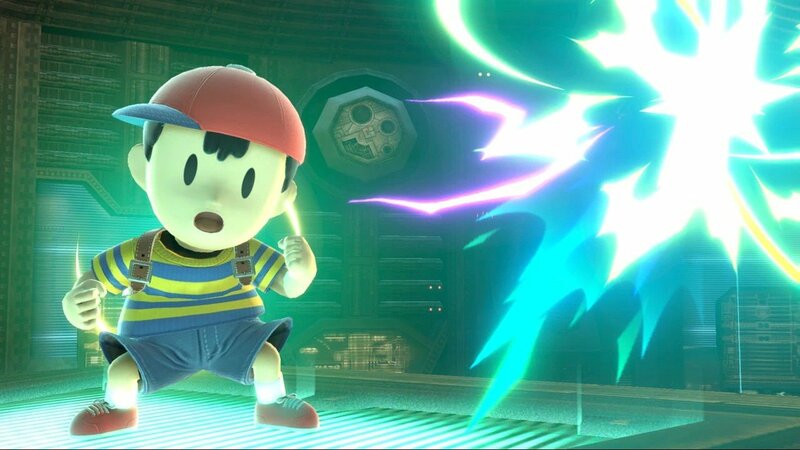 This is the most advanced recovery move in the game, requiring Ness to manually move the lightning bolt towards his own body to launch him in any given direction. PK Fire (Side B): Ness fires off a lightning bolt straight ahead and creates a pillar of flame on contact for minor damage, albeit slightly more than in Super Smash Bros. for Wii U/3DS. 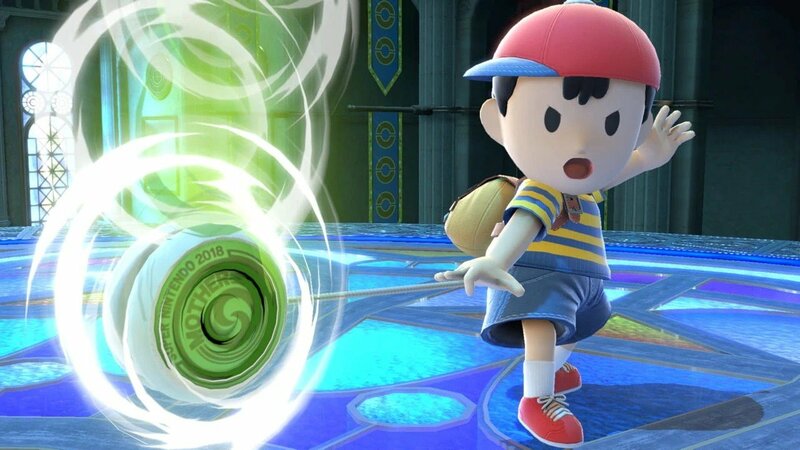 PSI Magnet (Down B): Ness creates a barrier around himself, which absorbs projectiles and heals him nearly twofold up to a maximum of 30%. This one takes some quick reflexes. PK Starstorm (Final Smash): Ness calls upon the stars to annhilate his foes. For Ultimate, Ness is now joined by Paula and Poo, who lend their power to his own. Ness' base speed has been increased, giving him faster walking and dashing speeds, along with a higher jump. Ness' ground moves also hit faster, with his tilt moves all coming with less startup frames. Up-Smash is also more powerful, able to KO at lower percentages than before. Ness' aerial game is also improved. Beyond having less landing lag, as is almost universally the case in Ultimate, Ness' air attacks mostly deal more damage and go off quicker. On top of this, the new air dodge mechanic makes Ness a scarier opponent on the recovery. 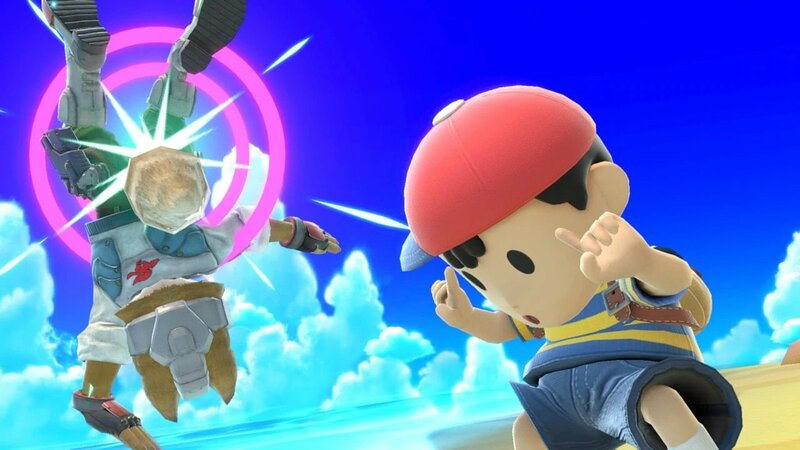 It essentially means Ness can air dodge to recover and free up his PK Thunder for some advanced combos. The crew at VGBootCamp are the first ones up this time around. They went through Ness' full arsenal with the final version of the game, observing the changes to his aerial game and to a handful of his specials. They also show just how advanced a player is needed to get the hang of this character. Tyrell "NAKAT" Coleman dispelled the notion that the air dodge would sink Ness. He points to Ness' upped speed boost and his ability to get off to a fast start. He also cites some of the changes to his specials and his aerials. James "VoiD" Makekau-Tyson goes into Ness' full move set, detailing his tilts and how they're faster than they were in the previous game. However, he does note that they appear to be riskier than they were before. He also points out the increased strength of Ness' Up-Smash and Up-Air. ...but he wasn't planning on sticking with his old main. However, he's starting to think twice and is on the verge of a change of heart. Oh yeah might give ness a serious try again, just need to get a good understanding of the new psi magnet. Super Smash Bros. Ultimate is out now on Nintendo Switch. We're still going through every single character, so be sure to check back in often for more profiles. Learn more about Nintendo's hot new brawler release by heading over to Shacknews' Super Smash Bros. Ultimate walkthrough and guide.